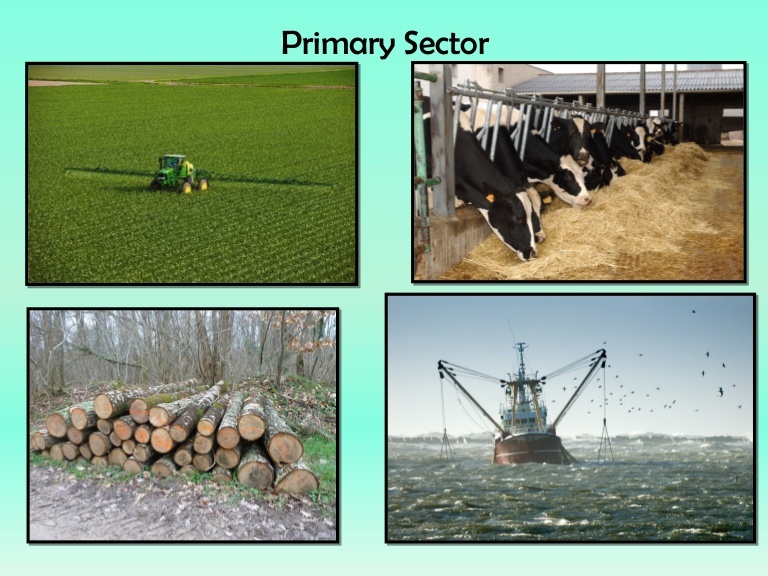 In this the primary activities of the economy are included which have a direct connection to the environment like (a) agriculture and allied activities which includes activities like hunting, fishing, dairy sector, pastoral activities, vegetation land and water (b) mining and quarrying which includes oil extraction, coal mining itc. 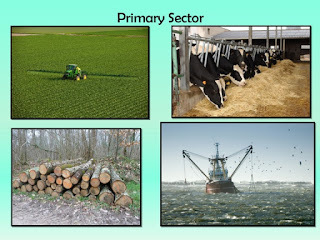 People involved in the primary activities of an economy are also termed as red collar workers due to their association with activities of outdoor nature. 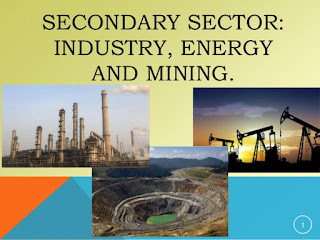 In this sector of the economy, activities related to industry, construction, manufacturing, processing & infrastructure activities of the economy are covered. 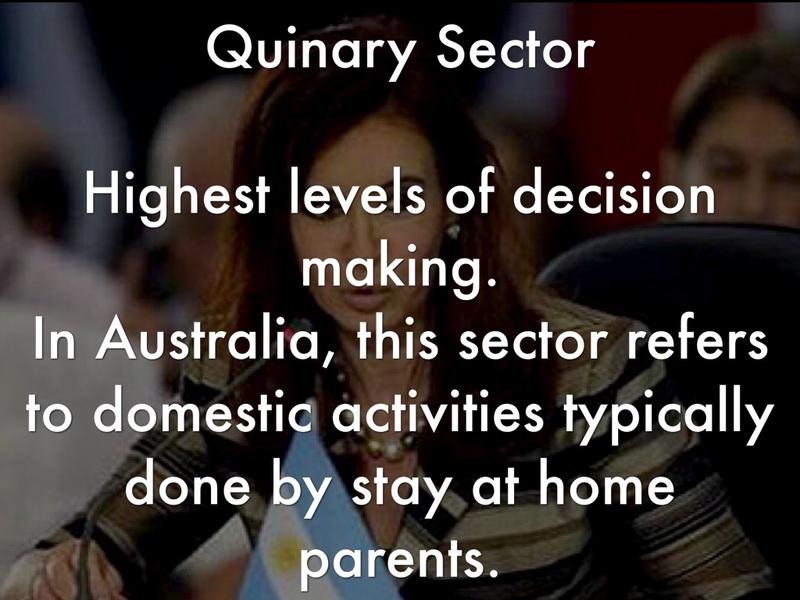 People involved in the secondary sectors of the economy are termed as blue collar workers of the economy. This sector was the main driver of economic progress of India post Independence under the Mahalanobis model and got a further boost post the Liberalisation, Privatisation & Globalisation phenomenon of 1991. 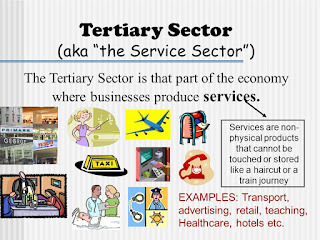 In this sector of the economy, services are included which may include varied services like banking, communication, education, transport, trade, hospitals, consultancy, online consultation etc. This forms the majority of the World GDP (around 66 percent). People employed in such services are known as White Collar workers. Quaternary sector of the economy represents the knowledge portion of the economy. This is said to be a sub classification of the tertiary sector which includes activities like technological development, R&D etc. 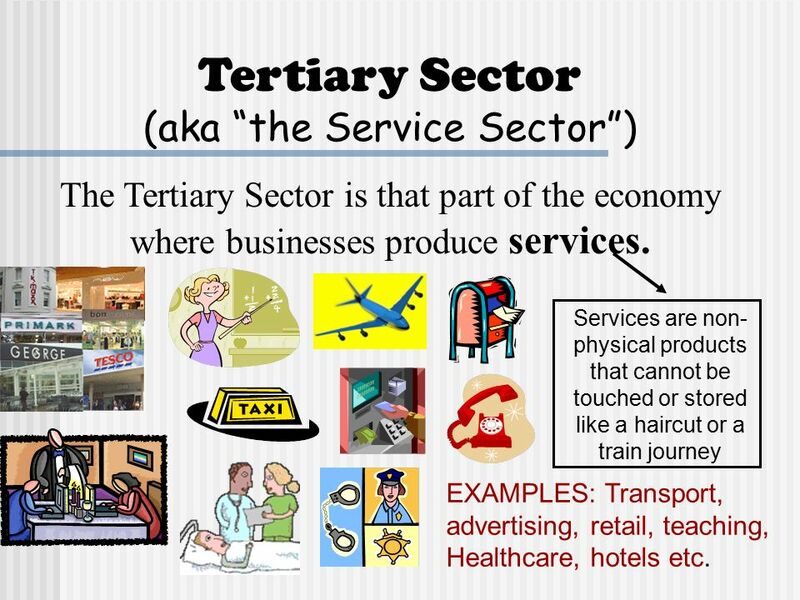 This sector is basically involved in domains which are given the responsibility of improving the quality of services offered in the economy. They may include High Quality Education, Software Developers, Statisticians, Brokerage and Accounting Firms etc. 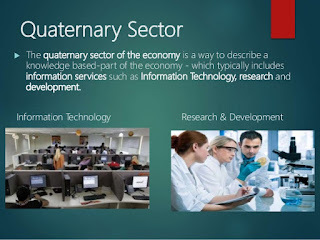 This is yet another subdivision of tertiary sector which is also known by the name of gold collar profession. 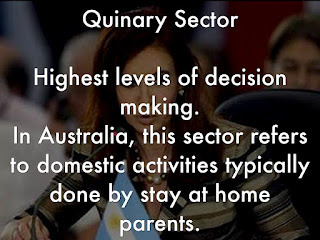 In this top level decision makers of the economy are present. These top level decision makers focus on the creation, re-arrangement and interpretation of new and existing ideas; data interpretation and the use and evaluation of new technologies. Their number in the economy may be minute but their impact on the economy is huge as they include personnels like politicians, bureaucrats, top business executives, financial experts etc.